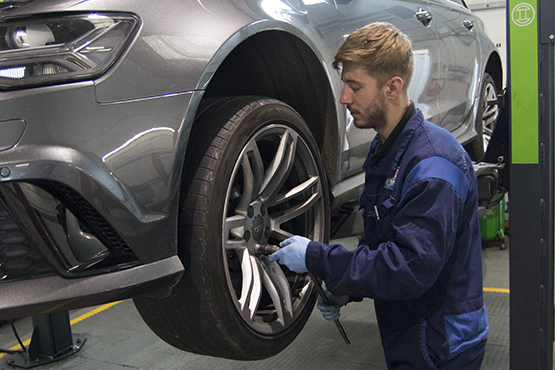 Another specialist service available is brake disc re-surfacing, normally only carried out on high performance, race, track day and vehicles with a braking defect such as vibration caused by distortion or corrosion when the vehicle has been stood. 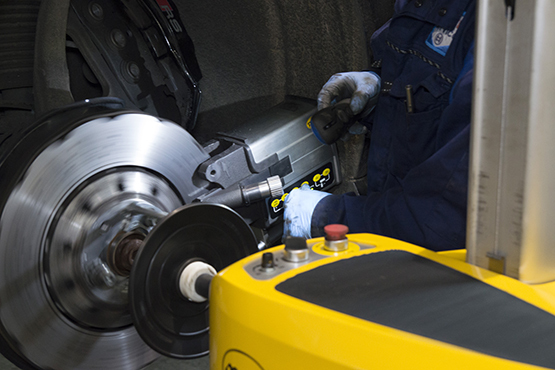 Using either Procut or MAD brake lathes we are able to machine the disc surface whilst on the vehicle to a very high standard, eliminating brake vibration and spongy pedal feel associated when new pads are fitted onto worn discs. 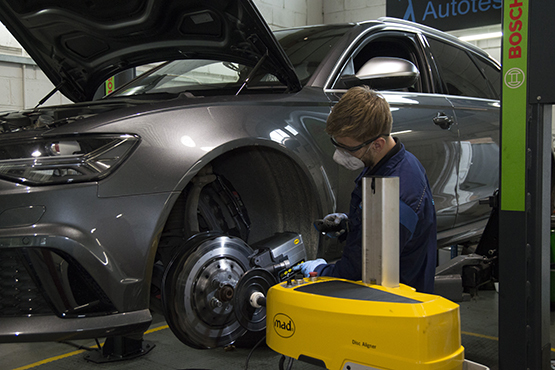 Many of our race and track car owners insist on this service prior to fitting new pads. 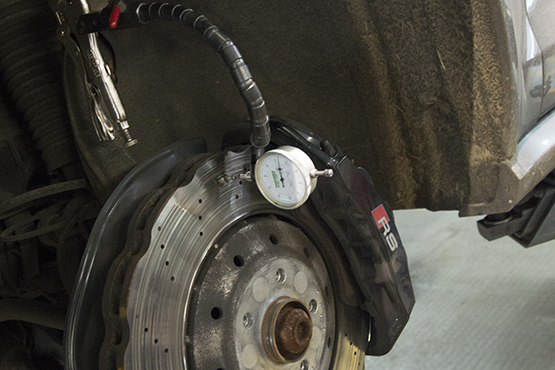 Brake disc distortion leads to vibration, overheating and premature wear on brake, steering and suspension components. 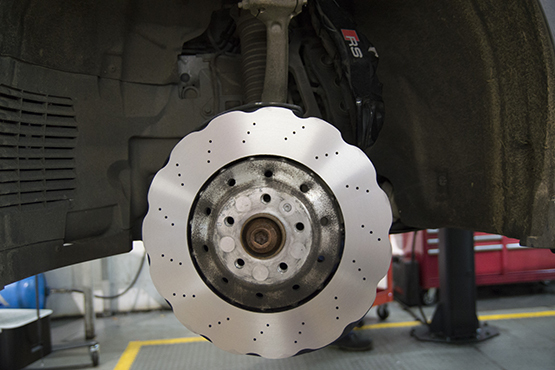 Modern cars are fitted with a brake system using disc brakes. 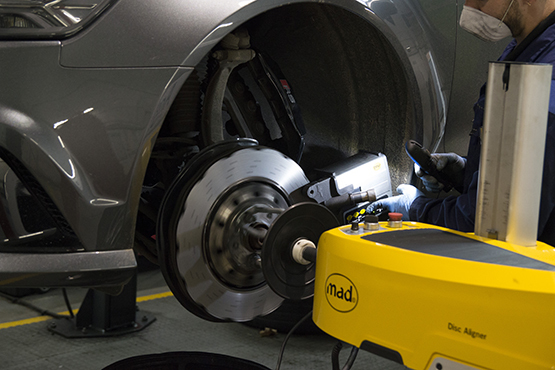 This system guarantees weight reduction, simpler inspection and maintenance, and excellent brake deceleration. The developers of new vehicles are paying increasing attention to safety, mileage cost and comfort. 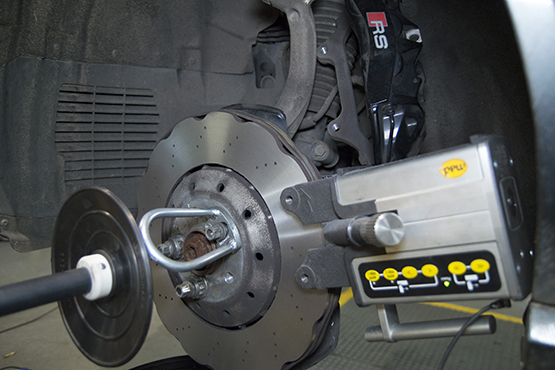 The balancing of the brakes is essential for the achievement of these objectives. 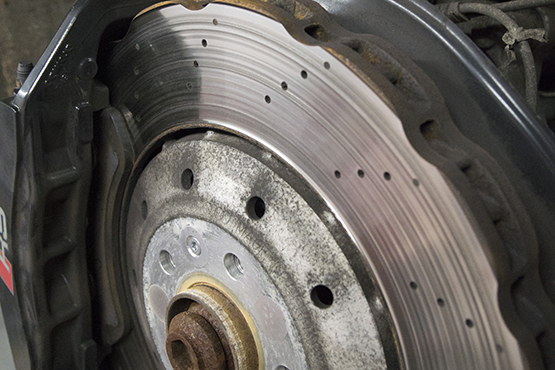 Friction between the brake pads and the brake disc causes heat and wear on both components. 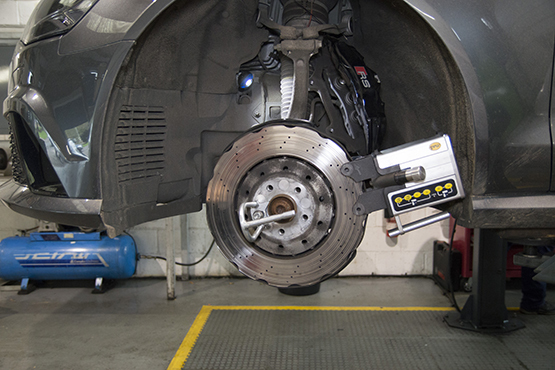 Optimum brake deceleration can be achieved only if both parts are completely flat and parallel. 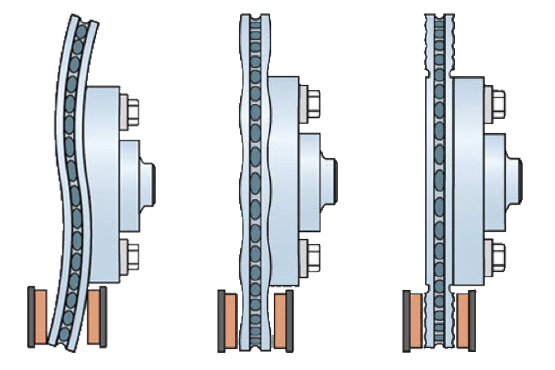 As soon as one of these components is replaced because of wear, the other must be adjusted to fit as well as possible to its new “partner”. Run-out is oscillation of the brake disc. 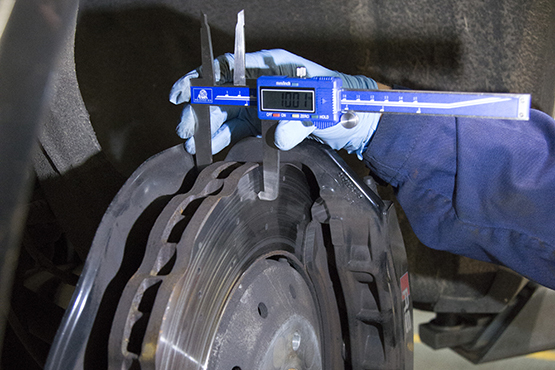 This may be caused by tolerance in the brake disc and hub or by distortion of these parts by shock loads. 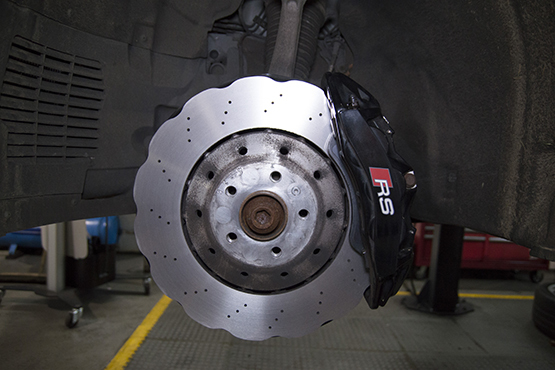 The oscillation of the brake disc can be felt in the steering wheel. 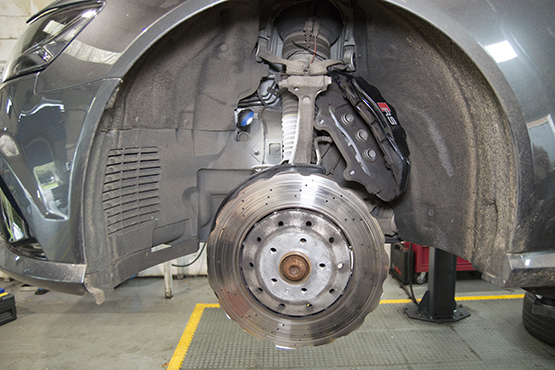 The brake disc and the brake pads are not in line! Disk Thickness Variation (DTV) is the difference in thickness of the disc measured at different points in the radial plane. 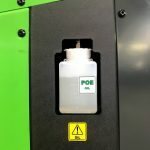 This phenomenon is the logical consequence of differences in material structure, run out and constant changes in brake conditions such as ambient temperature, humidity and load on materials. DTV can be clearly felt in the brake pedal. Once again, brake disc and brake pads are out of line! 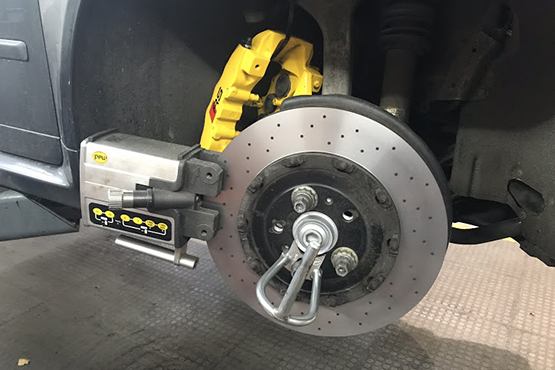 Roughness of the brake disc surface leads to high or low frequency vibration of the brake components. 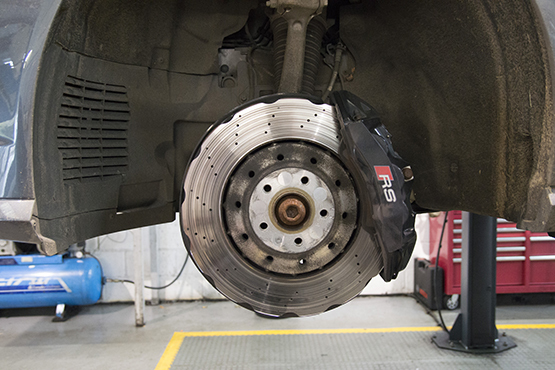 The differences in surface structure do not conform to the manufacturer’s specification and will result in excessive brake noise. 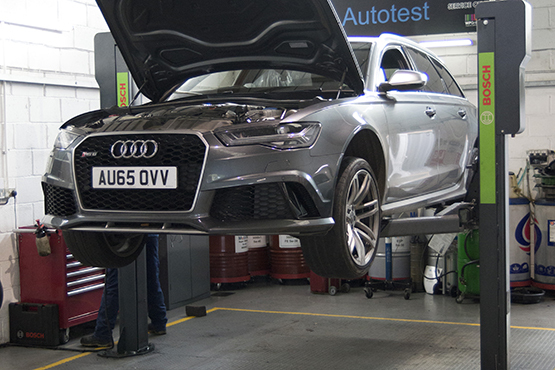 Autotest Vehicle & Diagnostic Centre Ltd.
A simply brilliant garage. Succeeded where others had failed. Should have taken the car here in the first place. Excellent service, friendly staff. Didn't have to wait an eternity to get the car in either. Kept me well informed provided pictures of the fault I had (was electrical and very difficult to find). A highly professional garage. They are not the cheapest independent about, but you seriously get what you pay for. I wasted hundreds going to other garages first who then failed. 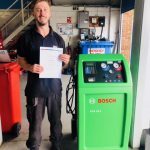 Autotest found the problem and fixed it in a day! Consider that what deciding. 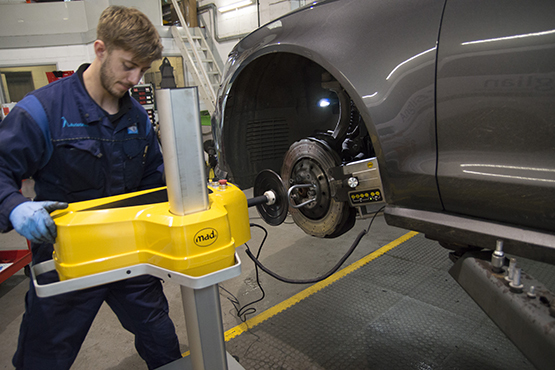 Took mine and a friends Vauxhall Astra's in for a wheel alignment, David set my friends car up for his track day the next day and set my car up..he is the only person I use for alignment as he knows his stuff. He had to modify my subframe to create some extra caster as 1 wheel was further back than the other..You won't get this type of service at any wheel alignment centre I know of. Highly recommend, I drive 1hr 40 mins for the setup..the car felt more accurate coming out of corners as before in left corners I had to physically correct the steering at times. © Autotest 2017. Site by Corner Media.